Do you require quality content for your website that’s created with both your audience and the search engines in mind? Then get in touch with the content writing team at Search Sauce today. When you hire us to create your content, you can rest-assured that it will be engaging and reader-friendly whilst being optimised perfectly for search. Our SEO copywriters are able to improve your website’s ranking by providing you with website content that really sells. As a business, you will know that your website is the most powerful weapon in your marketing arsenal. Therefore, it’s important to ensure that its content is high quality, able to project the right image for your company and is optimised for search. As tempting as it may seem, it’s not a great idea to write your own website content. Even if you consider yourself to be a good writer, writing for a website is very different to writing content in the more traditional platforms of print publication. Our experienced copywriters are able to write content in line with Google’s algorithms in order to make it more visible in search results. They have a solid and comprehensive knowledge of SEO and know how to integrate keywords into content so as to improve your SERP rankings. Writing for the web requires skill and our content writing team has it by the bucket-load. Content writing is an investment and one that you’d be wise to make, whether you’re a start-up, a small business or a large corporation. We’re in an increasingly competitive business world and for each customer you’re vying with many other established and new companies. With this in mind, it makes sense that your website content needs to be first-class. Plus, this world is full of sceptical people who just don’t believe what you’re telling them. Therefore, your sales message needs to be good enough to cut through the scepticism. It needs to persuade and to excite. A skilled copywriter can produce copy that’s able to do this. 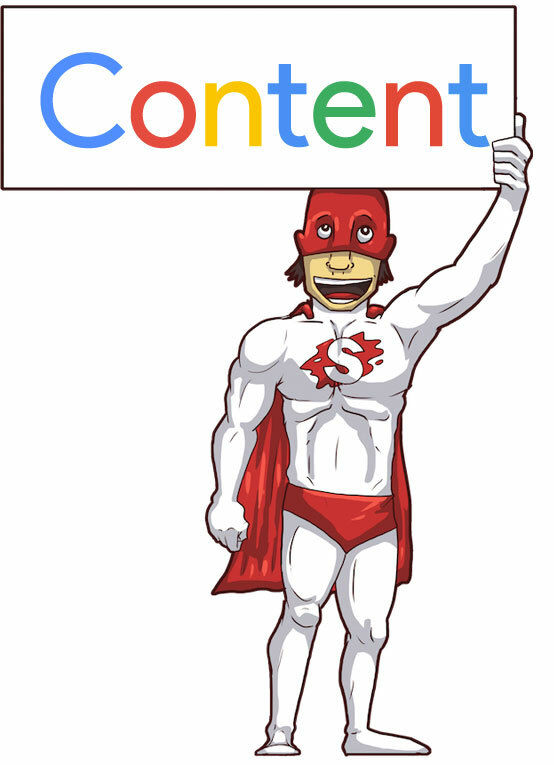 The phrase ‘Content is King’ is commonly used in this day and age and here at Search Sauce we believe it to be true. Good quality content writing is an invaluable element of your website and it can add huge value to your online presence. It’s all well and good having an expertly designed website that’s easy to navigate, but if your content’s not up to scratch, what good is it? Poor quality content simply means that your website won’t rank well in Google’s search results and that you’ll receive less traffic as a result. Plus, any potential customers that do find their way to your site aren’t likely to stay very long thanks to a lack of compelling and engaging content. Our copywriters here at Search Sauce have produced quality website content for some of the biggest global brands. We’ve also helped numerous small businesses and start-ups to sky-rocket their websites to the top of Google’s search results. Our copywriters are able to develop an over-all strategy for delivering your message to your target audience in order to achieve maximum results. When you hire our talented copywriters you’ll be hiring us to think strategically on your behalf. We’ll research, brainstorm, build a strategy and ultimately create the message that will turn your traffic into sales. You can trust Search Sauce to create engaging content that’s optimised for search so that you’re free to focus on other tasks. Whilst we’re busy crafting quality content, you can get back to improving your product, running your business or managing your staff.